Solute and Solvent are the part of the solution where the dissolved matter in any solution or mixture is called as the solute, while the liquid or gas that dissolves another liquid, solid or gas is called as the solvent. A solution can be defined as the homogenous mixture of two or more substances. So in a solution, the substance which gets dissolved is solute, whereas solvent is the substance in which the solute will dissolve. There are many products in day to day life prepared by the mixture of one or many solutes and solvents and form a solution. These products are medicines, soaps, ointments, tea, coffee, lime juice, etc. The homogenous mixture is the solution in which the solutes dissolve completely and uniformly into the solution. While solubility is the ability of the substance to dissolve into another substance. In this article, we will discuss the difference and characteristics of the solute and solvent. Meaning The substance that gets dissolved in the solvent in a solution is called as the solute; the solute is present in the lesser amount than the solvent. The substance that dissolves the solute in a solution is called as the solvent; the solvent is present in the higher amount than the solvent. Boiling point The boiling point is higher than solvent. It is lower than that of solute. Physical state Found in solid, liquid or gaseous state. Mainly in the liquid state, but can be gaseous as well. Dependability Solubility depends on the properties of the solute. Solubility depends on the properties of the solvent. A substance dissolved in a solution is called as the solute. A solute can be solid, liquid or gas, though mostly it is a solid compound. Salt in seawater, sugar in water, and oxygen in the air are the few typical example of the solutes. The solute dissolves in the solvent only when the attractive forces between the two is stronger enough, which can overcome molecular forces holding the particles, i.e. solute-solute and solvent-solvent particles together. Although the solute holds the minor amount in the solution, as compared to the solvent. But there is the condition in the solution called as saturation, in which the solvent is not able to dissolve any more solute. 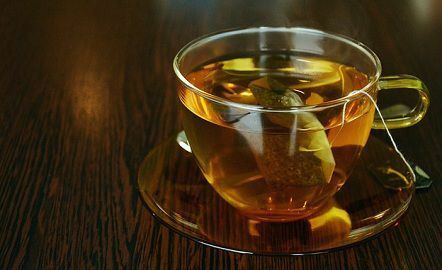 Example of a solute and solvent can be explained by considering a cup of tea. Milk powder and sugar are dissolved in hot water. Here hot water is the solvent and milk powder and sugar are solutes. Solute have higher boiling points than solvent. These can be solid, liquid or gas. By increasing the surface area of the particles of the solute, the solubility will increase. The solid particles are broken into smaller pieces. In case of gaseous solutes, the solubility is affected by the pressure, besides the volume and temperature. The solute is dissolved in the solvent. It can also be defined as the substance in which different substances or compounds dissolved to become a solution. Solvent occupies the major portion of a solution. These are usually liquids.Water is said to be the most common solvent in everyday life as it has the capability of dissolving any (gas, solid or liquid) substances and so also called as a universal solvent. The main thumb rule of the solubility is “like dissolve like“. Solvents can be divided as Polar and Non-Polar. Polar solvents have high dielectric constant and have one or more electronegative atoms like N, H or O. Alcohols, ketones, carboxylic acids, and amides are the common examples of the functional group present in polar solvents. Polar solvents are made of polar molecules and can dissolve polar compounds only. The Polar solvent is further divided as polar protic solvents and polar aprotic solvents. Water and methanol are polar protic molecules as they are capable of forming the hydrogen bond with the solutes. On the other hand, acetone is said as polar aprotic solvent as they are incapable of forming the hydrogen bond with the solute, but create dipole-dipole interactions with the ionic solutes. Non-polar solvents contain bonds with similar electronegative atoms like C and H. These are made up non-polar molecules and can dissolve non-polar compounds or solutes. Solvent has the low boiling point and gets easily evaporate. Solvent exists as liquid only but can be solid or gaseous as well. The commonly used solvents contain the carbon element and hence called as organic solvents, while others are called as inorganic solvents. Solvents have characteristic color and odor. Acetone, alcohol, gasoline, benzene, and xylene are the commonly used organic solvents and are of great importance in chemical industries. enhance the speed of the reaction with the solute. Solute can be defined as the substance that gets dissolved by the solvent in a solution, while the substance that dissolves the solute is called as the solvent. Therefore the solute is present in the lesser amount than the solvent. The boiling point is higher of the solute than solvent. The properties of both solute and solvent are interdependent of each other. Solutes and solvents are the substance not used only in chemical laboratories, but they are the part of the day to day life. A solution contains only two components, which are solute and solvent. Solvent has the capability of dissolving the solute in a homogenous solution. We discussed the characteristics of both the substances and concluded that in one solvent there can be different types of solutes and can form a homogeneous solution.